Inky Hearts Papercrafting: Settled in Germany and an update on what's going on with me! Settled in Germany and an update on what's going on with me! The last time I posted was right before we left for our move to Germany and I had alluded to a potential health crisis going on with me. We are settled into our house here in Germany (yep, our household goods took TEN weeks to get here!). My health crisis did turn out to be exactly what I thought: I have breast cancer. I had surgery on 4 August and am still recovering from that. While my tumor type has a low-recurrence rate and the risks of chemo vastly outweigh the possible benefits (yay..no chemo! ), I will need radiation treatment during the fall. At this time, I'm unclear when I'll be ready to start having live workshops here, but I'm planning to keep up my blog and do some instructional blog series and participate in some blog hops to share great ideas with all of you! 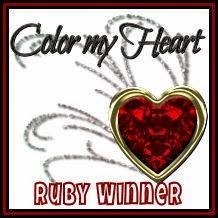 And, as always, you can always visit my website to order your own Close to my Heart products. 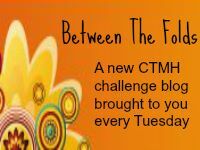 Every month I'll have an online gathering going and everyone who places an order will be entered for a chance to win $40 in CTMH products. If you'd like to host your own online Gathering and earn even more free products, please feel free to email me! Thanks for hanging in with me through all this transition and crisis! Love you guys! "Cancer is not a death sentence, but rather it is a life sentence; it pushes one to live."